Tucked away in the heart of Wiltshire is a small village called Lacock. Lacock is owned by National Trust and attracts many visitors from around the world. The village has been used as a film and television location, notably for Downton Abbey, Pride and Prejudice and Harry Potter. They have recently been filming Downton Abbey around the village. The oldest house in Lacock is older than the thirteenth century abbey. There's lots to discover in Lacock village! You will be able to see the stone cottages, the old workhouse, barn and village church. The village is also a great place for independent shops. If you’re in need of unique gifts then Lacock is the perfect place to shop. Lacock Bakery is famous for their lardies, bread pudding and old fashioned sweets. You can also pop in for a cup of tea and a slice of cake! Watling’s is a family run independent company founded by Graham Watling in 1972. They sell beautiful handmade jewellery. If you love crafts, then make sure to pop into Barty’s of Lacock. They sell a range of crafts, including vintage decor. What’s not to love? Next to Barty’s of Lacock is Sue Stokes Antiques and Coco Chemistry. CoCo Chemistry create award winning chocolate. They sell a range of chocolates from slabs to truffles and drinks! Quintessentially English is run by Jacqui in Lacock. All of their bath and beauty products are handmade with natural and organic ingredients! 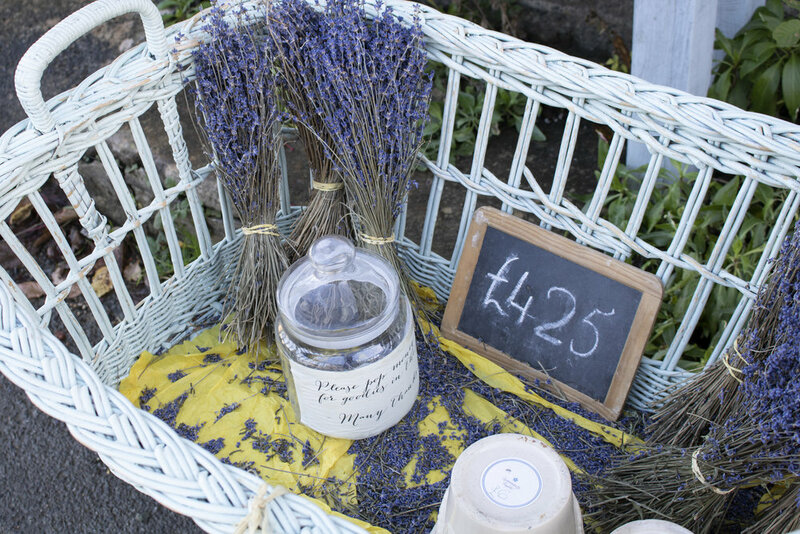 As well as buying handmade bath and beauty products, you can also do workshops at Quintessentially English. You can find all the information on their website. Wiltshire Crafts sells a range of crafts by independent artists. A lot of these artists and crafters are based in Wiltshire. Near to Wiltshire crafts is Lacock Pottery. A great place to buy handmade gifts, if you’re looking for a mug, bowl, vase or plate. They also have a village shop with an old post box. There are a range of restaurants and tea shops in Lacock including the Sign of the Angel, The George Inn and Carpenters Arms. A must to visit for Sunday lunch or after a long walk around Lacock. These are just a few of the shops and restaurants that can be found in Lacock. Make sure to have a ponder on your computer before visiting for all the other independent businesses. Lacock Abbey was founded in the early 13th century. The abbey was a nunnery until it was sold to a new owner. The house was built over the old cloisters, which makes it an interesting place to visit for the architecture and history. Also, if you have a love for Harry Potter! The house was later passed into the hands of the Talbot family. The house was given to the National Trust in 1944. If you love photography, then Lacock is a must to visit. The first photograph was created at Lacock Abbey in 1835. This was the home to William Henry Fox Talbot. The famous photograph was taken at a window in 1835. This image was not much bigger than a stamp! It is is now celebrated as the world’s earliest surviving photographic negative. The Lacock Abbey grounds are full of colour in the autumn. There are plenty of plants and trees to visit around the abbey, including the greenhouse. It is full to the brim with flowers and plants. You might be lucky to see the Lacock cat wandering around the historic building! After visiting Lacock, make sure you pop to Whitehall Garden Centre on the way back! Whitehall Garden Centre is a 4th generation family business. The garden centre also has a range of restaurants, a gift department and a farm shop! You will find a selection of local and free range products at the farm shop, including gluten free. There are plenty of places to eat at Whitehall Garden Centre including The Herb Garden Restaurant, Lavender Lodge Tea Room, The Orangery Restaurant and Strawberry Fields Tea Room.